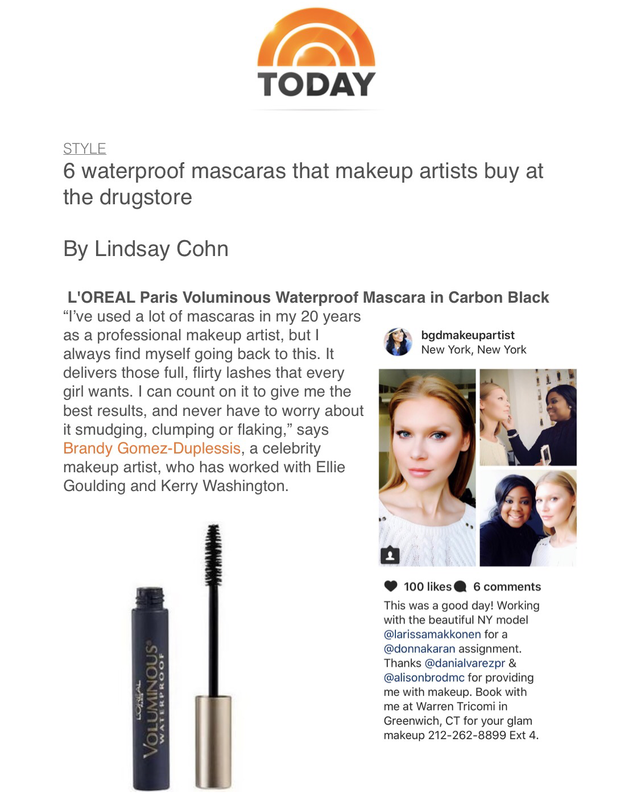 When freelance writer Lindsay Cohn with the Today Show asked me about my favorite waterproof drugstore mascara it was a no brainier for me. I’m sure many of you who has been following me for sometime now could probably answer that question because I’m always talking about it. My favorite mascara hands downs is L’OREAL Paris Voluminious Mascara in Carbon Black. Here is the link to the full article on the Today’s show page. I would love to hear about your favorite waterproof mascara? Give it a try I luv both the regular and waterproof, plus the price is easy on the wallet.